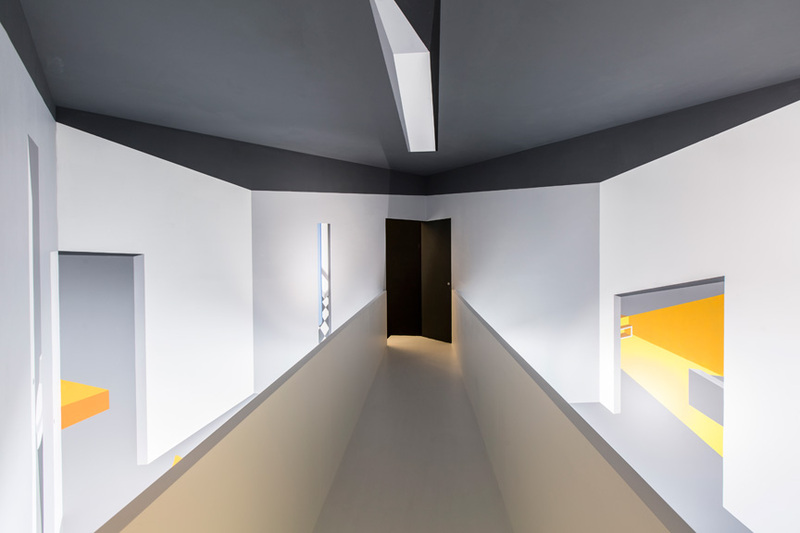 From 2 December 2014 until 6 January 2015, UCCA and RedStar Macalline present a major art project: “M Home: Living in Space” which brings together twelve contemporary artists exploring the aesthetic and spiritual latitudes of home dwelling. 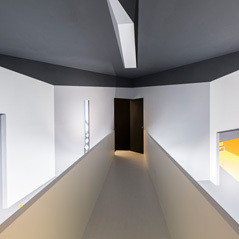 “Building” and “dwelling” form the conceptual foundation of manmade construction and spatial definition. One’s dwelling carries indisputable significance rooted in its functional role, and the relationship fostered therein, between man and domestic environment, exceeds theoretical categorization. The balancing act between intimate secret and open display becomes a lived experience, further refining notions of public and private space. Layers of emotion, aesthetic appreciation, and personal interest culminate in a feeling of home whereby individuals securely connect with a community. As the most fundamental unit of society, homes observe and engage in a dialogue with their given era, and in the midst of rapid urbanization, homes ease the anxious pace of material pursuits. The home is the most familiar and natural of locations, nurturing self-expression and inspiring passion for life. 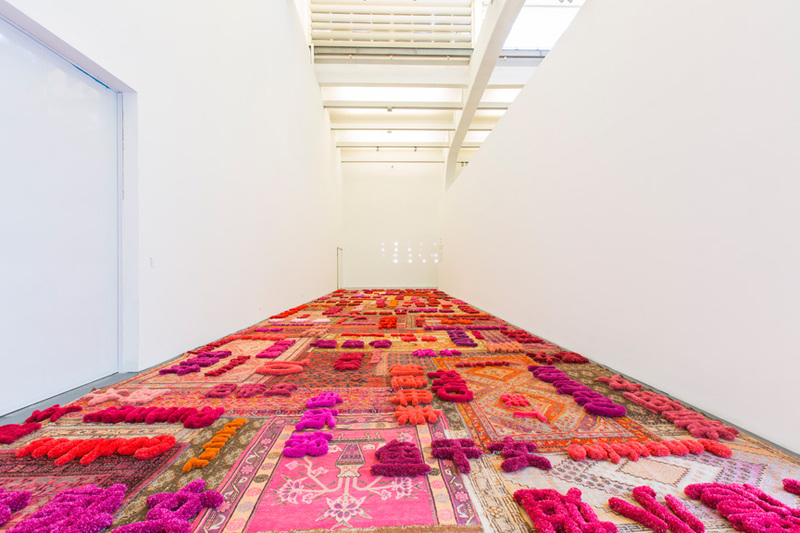 The exhibition space is a site to encourage thought, and RedStar Macalline has joined UCCA to invite a range of international artists—some of them exhibiting in China for the first time—to explore the meaning of “home” through their own individual practices and cultural backgrounds. 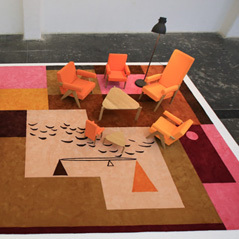 Commonplace domestic items lose their function and familiar forms as the twelve artists create unique visual landscapes beyond traditional living environments. Audiences are invited to use these aesthetic encounters to reflect on their own perceptions of daily life. During the exhibition, the gallery becomes a “dwelling place” for fantasy and contemplation, offering refuge during a journey of the soul. 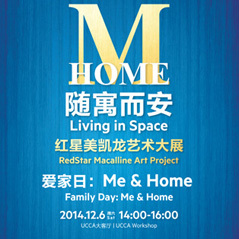 For more information, please read the “M Home: Living in Space RedStar Macalline Art Project” curatorial concept article. Philip Tinari is the director of UCCA in Beijing. There he oversees an exhibition program devoted to established figures and rising talents both Chinese and international, aimed at an annual public of more than half a million visitors. 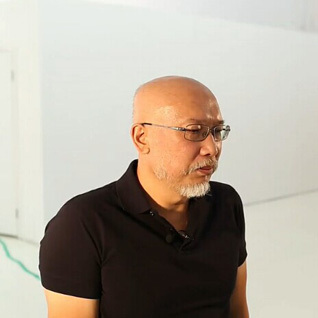 Prior to joining UCCA in 2011, he was the founding editorial director of the bilingual, international art magazine LEAP, published by Modern Media. He previously served as China advisor to Art Basel, founding editor of Artforum’s Chinese-language edition artforum.com.cn, and lecturer at the Central Academy of Fine Arts. He has written and lectured extensively on contemporary art in China, and sits on advisory boards including the Guggenheim Asian Art Council and the Asia Society Hong Kong Center gallery committee. 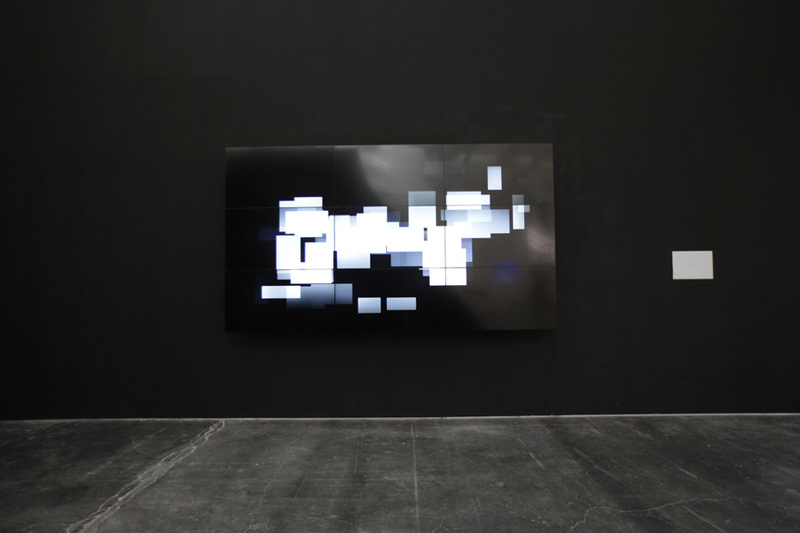 In March, he curated the Focus: China section of The Armory Show in New York. Mathilde Zhan is the Vice President of Red Star Macalline Group Co., Ltd. (Macalline). She received an EMBA from the Antai College of Economics and Management, Shanghai Jiao Tong University. An initiator of the current aesthetic of Chinese furniture retailing, she is known for harrowing Chinese design post-80s. With fifteen years of working experience as a TV host and magazine columnist, chief planner and chief director of a TV station. 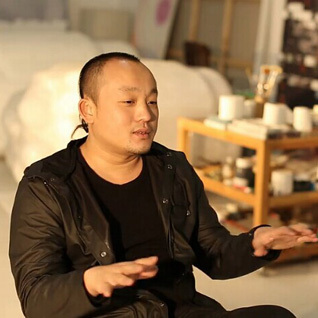 Zhan has produced several short films and operas and has been head planner of multiple business endeavors. She is a jury member of Greater China’s Creative Commerce Award and as well as the Effie Award. She has received an “Oustanding Achievement for 10 Years of Branding.” Zhan strives to bring culture, art, and commerce together. She also has made inroads in the development of online commerce and advertising. As UCCA’s deputy director, You Yang’s main responsibilities include enhancing UCCA’s long-term growth and financial stability via three main channels: sponsorship, special programs, and marketing events. He is also responsible for UCCA’s public relations, branding, and image development, shaping UCCA’s message, and overseeing communication with domestic and overseas media as well as with the general public. He is one of UCCA’s main press secretaries and also head of public programs. 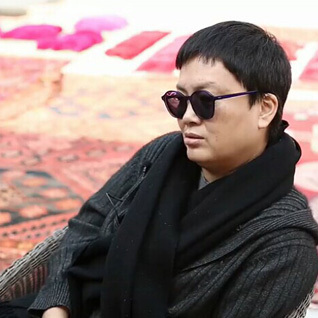 Prior to joining UCCA, You Yang was the marketing director of the Chinese-language version of Time Out Beijing and the deputy general manager of the China International Gallery Exposition (CIGE), the first large-scale contemporary art fair in China. 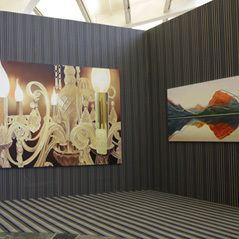 In 2010 and 2011, he also served as Asia consultant for the ART ASIA art fair in Miami, Florida. 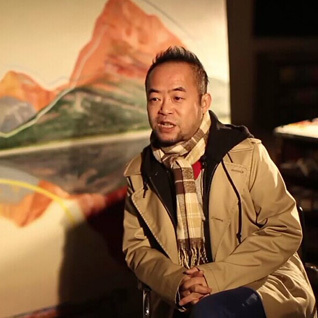 Complementing his wide range of marketing and management experience, You Yang is also a published author and art critic with more than one hundred journal articles and catalogue essays to his credit. 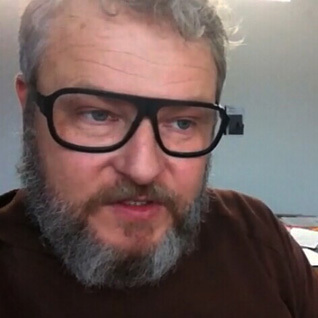 He holds a master’s degree in business management from the University of Hull in the UK. Venus Lau is a curator and writer based in Beijing. After working as an art writer and project curator, she works actively in various cultural spheres across greater China, pursuing multidisciplinary experimentation with potential and emergent cultural productions in the region, while initiating discourses between Chinese art and the cultural structures in other countries. 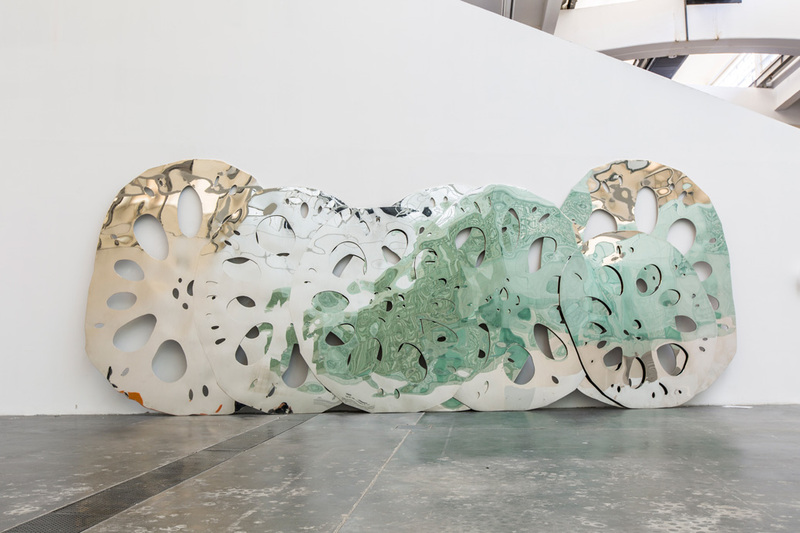 She won the CCAA (Chinese Contemporary Art Award) Jury’s Pick with her proposal actively rethinking on the strategies of institutional critique in China, while exploring the linkage between object-oriented ontology in art. She was the chairman of Society for Experimental Cultural Production, a non-profit organization focusing on new possibilities of cultural productions. 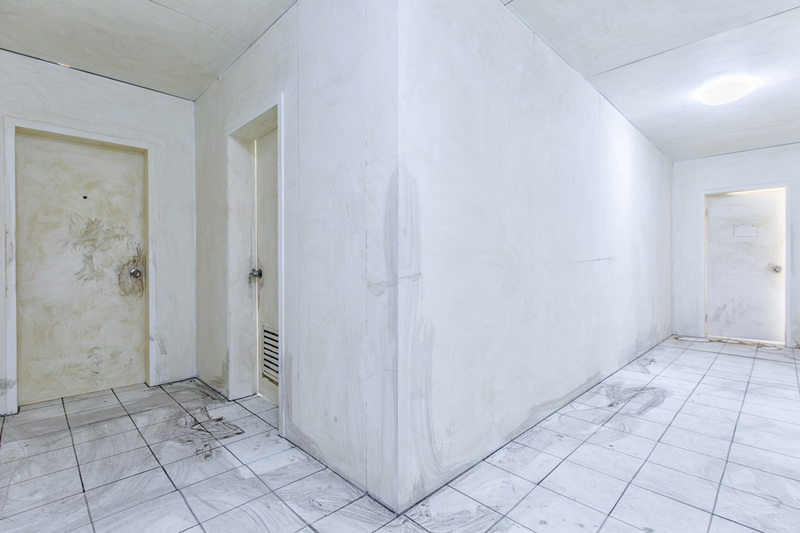 Venus Lau is currently working as the consulting curator at Ullens Center for Contemporary Art. 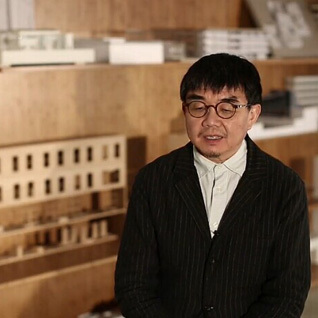 Yung Ho Chang is Principal Architect at Atelier Feichang Jianzhu, a professor of the College of Architecture and Urban Planning at Tongji University, and a professor and the former Head of the Architecture Department at the Massachusetts Institute of Technology. Originally from Beijing and educated both in China and in the United States, Chang received his Master of Architecture degree from the University of California at Berkeley in 1984. He has been practicing in China since 1992, and established Atelier Feichang Jianzhu (FCJZ) in 1993 with Lujia Lu. He has published several books and monographs, including Yung Ho Chang / Atelier Feichang Jianzhu: A Chinese Practice and Yung Ho Chang: Luce chiara, camera oscura. 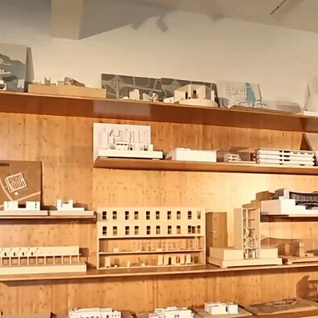 He has taught at architecture schools across the US and China. He was director of the Department of Architecture MIT from 2005-2010, the professor and founding head of the Graduate Center of Architecture at Peking University (1999-2005), the Kenzo Tange Chair at Harvard University (2002) and the Eliel Saarinen Chair at the University of Michigan (2004). In 2011, he was a Pritzker Prize Jury member. Chen Wenbo (b.1969, Chongqing) graduated from the Sichuan Institute of Fine Arts in 1990. He currently lives and works in Beijing. 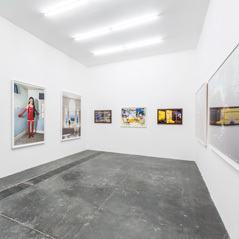 Major group and solo exhibitions include “RE-VIEW: Opening Exhibition of Long Museum West Bund” (Long Museum, Shanghai, 2014); “Face” (Minsheng Art Museum, Shanghai, 2012); “ART Changsha” (Hunan Provincial Museum, 2011); “Thirty Years Of China Contemporary Art 1979-2009″ (Minsheng Art Museum, Shanghai, 2010); “Chen Wenbo: Broken Series”(Ullens Center for Contemporary Art, Beijing, 2009). Lin Tianmiao (b.1961, Taiyuan, Shanxi province) graduated from the Fine Arts Department of (Beijing) Capital Normal University. After living 8 years overseas, she came back to Beijing in 1995 and currently based in Beijing. 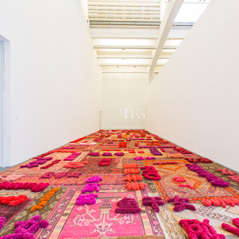 Lin Tianmiao is one of the first Chinese female artists to achieve international recognition. 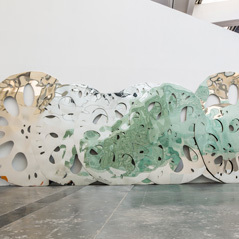 In 2012, her major retrospective solo exhibition “Bound Unbound” was held at the Asia Society Museum in New York. Her works can be found in a number of the public and private collections worldwide including MOMA and Brooklyn Museum, ICP, Asia Society Museum, also in San Francisco Museum of Modern Art, National Gallery of Australia and Singapore Art Museum. 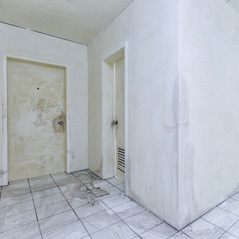 Michael Lin (b. Tokyo) is one of the leading contemporary artists living today. He splits his time between Taipei, Shanghai, and Brussels. Lin’s monumental painting installations repurpose painting from an object to painting as a bounded, physical space or a social environment. His works have been exhibited in major institutions and international Biennials around the world including: The Museum of Contemporary Art, Tokyo, UCCA, Beijing, The Lyon Biennial, The Vancouver Art Gallery, The Rockbund Art Museum, Shanghai, Palais de Tokyo, Paris and PS1 MoMA, NY. Nara (b. 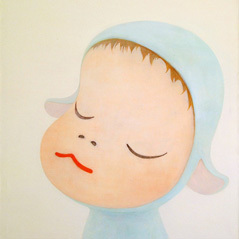 1959, Aomori, Japan) is one of the leading artists of Japan’s influential Neo Pop movement and is best known for his depictions of simultaneously cute and devilish children and animals. 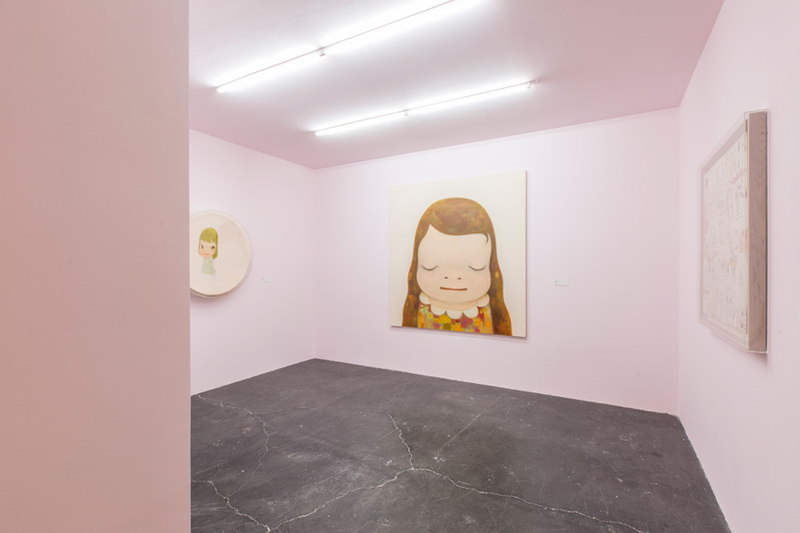 Informed by elements of popular culture ranging from manga and anime to punk rock, Nara fuses Japanese visual traditions and Western Modernism to create adorable but menacing characters that possess a startling emotional intensity. In the fall of 2010, the Asia Society presented Yoshitomo Nara: Nobody’s Fool, the first major New York exhibition of his work, featuring more than one hundred works spanning from his early career in the 1980s to his most recent paintings, drawings, sculptures, ceramics, and large-scale installations. 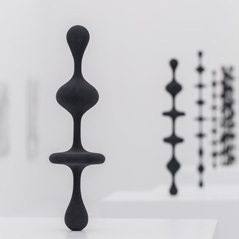 Kohei Nawa (b. 1975, Osaka) obtained his Ph.D. in Fine Art Sculpture from Kyoto City University of Arts in 2003. 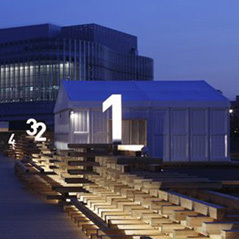 He is currently an Associate Professor at Kyoto University of Art and Design and the Director of SANDWICH. 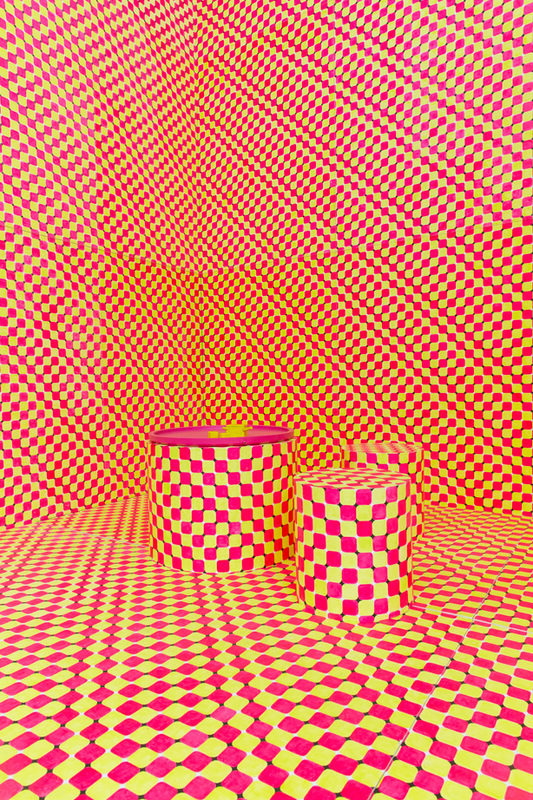 His multi-disciplinary practice incorporates sculpture, painting, and silkscreen printing. His early series “Pixcell,” created with glass balls, was first exhibited in 2002 and met with great critical acclaim. He has received two awards from Kyoto (Kyoto New Artist’s Award 2012, Kyoto Cultural Award 2006) as well as several other international awards. 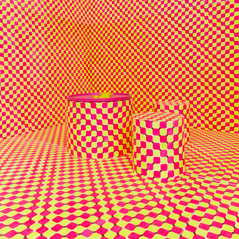 He has held a solo exhibition at the Tokyo Museum of Contemporary Art (2011), and his works have been included in the Asia Pacific Triennial, Busan Biennale, and Hong Kong Art Basel. 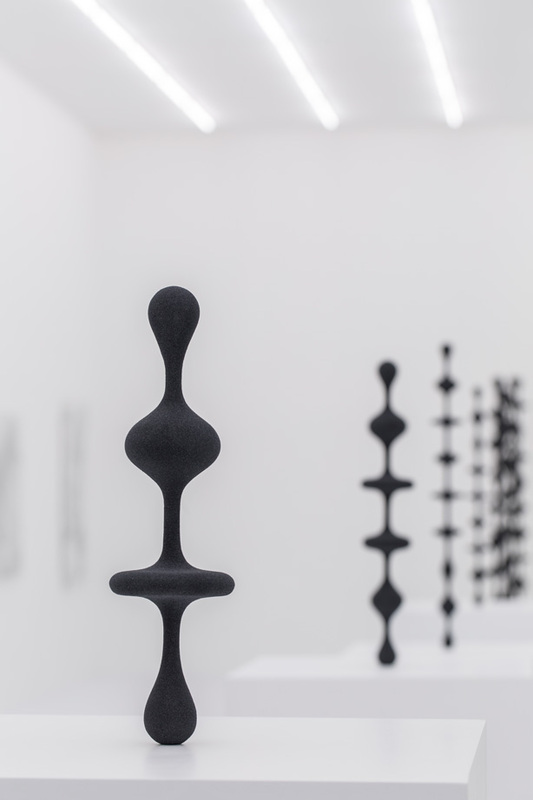 A professor since 2001 at Frankfurt’s Städelschule, the school he attended from 1987 to 1993 and one of Europe’s most prestigious art schools, Rehberger took part in his first exhibition in 1992. Since then, he has had solo exhibitions at the Stedelijk Museum, Amsterdam, the Netherlands (2008); Museum Ludwig, Cologne, Germany (2008); Fondazione Prada, Milan, Italy (2007); Museo Nacional Centro de Arte Reina Sofía, Madrid, Spain (2005); Whitechapel Gallery, London, England (2004); and Palais de Tokyo, Paris, France (2002). 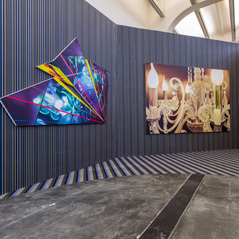 Most recently in 2014, the Schirn Kunsthalle in Frankfurt hosted an extensive exhibition of Rehberger’s work that will go on to travel to Rome’s MAXXI. He has also presented at the Gwangju Biennial, Gwangju, South Korea (2012); Manifesta 1 in Rotterdam, the Netherlands (1996) and 2, Luxem- bourg (1998); and the Venice Biennale, Venice, Italy (1997, 2003 and 2009). In 2009, he was awarded the Golden Lion for best artist for his installation Was Du liebst, bringt dich auch zum weinen at the Palazzo delle Esposizione at the Venice Biennale. Other awards include the Otto-Dix-Preis (2001) and the Hans-Thoma- Preis in 2009. 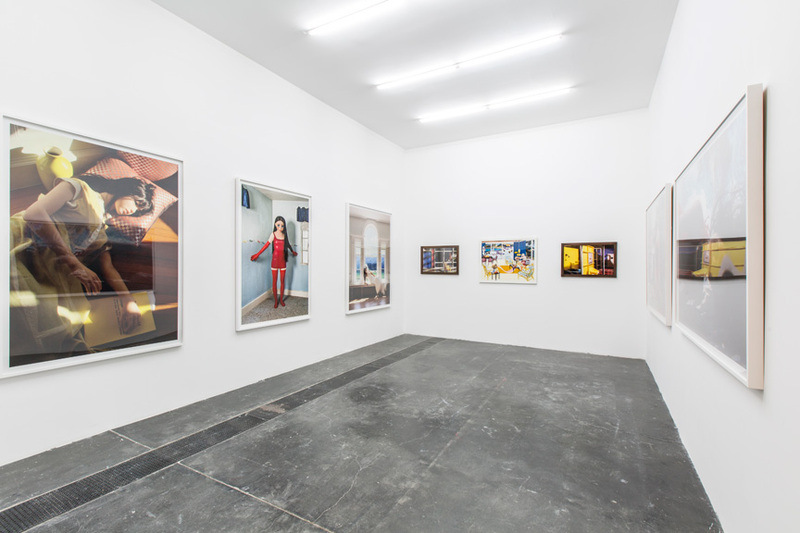 Laurie Simmons (born 1949) is an American artist, photographer and filmmaker currently working in New York and Northwestern Connecticut. Since the mid-1970s, Simmons has staged scenes for her camera with dolls, ventriloquist dummies and people, to create photographs that reference domestic scenes. 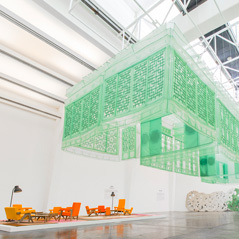 Do Ho Suh is an internationally renowned Korean artist whose site-specific installations and meticulously crafted sculptures question boundaries of identity and conventional notions of scale and space in both its physical and metaphorical manifestation. 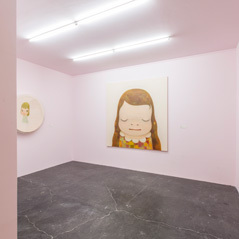 Suh was born in 1962 in Seoul and currently maintains studios in London, Seoul, and New York. His thought-provoking works have been represented in many of the world’s leading museums, including the Museum of Modern Art in New York, the Guggenheim Museum, and the Whitney Museum of American Art in New York, the Tate Modern in London, and Serpentine Gallery in London, the National Museum of Modern and Contemporary Art, Leeum-Samsung Museum of Art, Artsonje Center in Seoul, Museum of Contemporary Art, Tokyo, Mori Art Museum in Tokyo and 21st Century Museum of Art, Kanazawa. 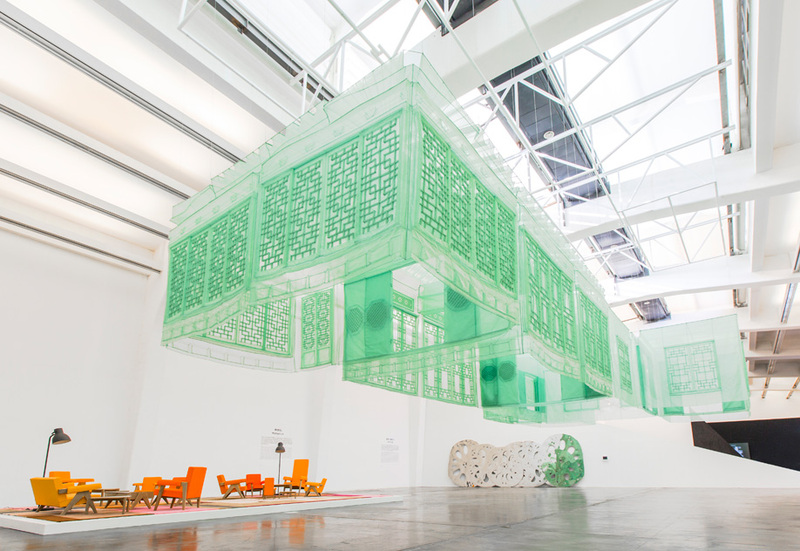 In 2001, Do Ho Suh represented Korea at the Venice Biennale and in 2010 participated in the Venice Biennale Architecture Exhibition and the Liverpool Biennial. Not Vital (born 1948) is a Switzerland artist, nomad and explorer. He divides his time between the USA, Niger, Italy and China, as wellas Switzerland. His works are inspired by personal impressions and expriences gained on his many trips around the world. He processes images and forms from various cultures into new sculpture projects and installations, always in keeping with the traditions of the respective cultures. Wang Yuyang (b.1979, Harbin, Heilongjiang province) graduated from the Central Academy of Drama and the Central Academy of Fine Arts. He currently lives and works in Beijing, and teaches at the Central Academy of Fine Arts. 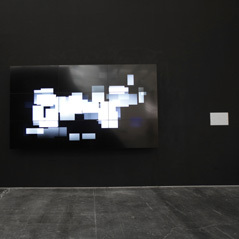 Selected group and solo exhibitions include “Thingworld – International Triennial of New Media Art”(National Art Museum of China, Beijing, 2014); “ON | OFF: China’s Young Artists in Concept and Practice” (UCCA, Beijing, 2013); “Reactivation:the 9th Shanghai Biennale” (Power Station Of Art, Shanghai, 2012); “The 1st CAFAM Biennale:Super-Organism/Research and Experiment from a Specific View” (CAFA Art Museum, Beijing, 2011); “Reflection of Minds – MoCA Shanghai Envisage III” (MoCA Shanghai, 2010); “Worm Hole” (Boers-Li Gallery, Beijing, 2009). Zhang Enli (b.1965, Jilin province) graduated from Wuxi Technical University, Arts and Design Institute in 1989 and currently lives in Shanghai. He has had solo exhibitions at Museo d’Arte contemporanea di Villa Croce, Italy; ICA, London, England; Shanghai Art Museum; Minsheng Art Museum; Kunstmuseum Bern, Switzerland; Ikon Gallery, Birmingham. 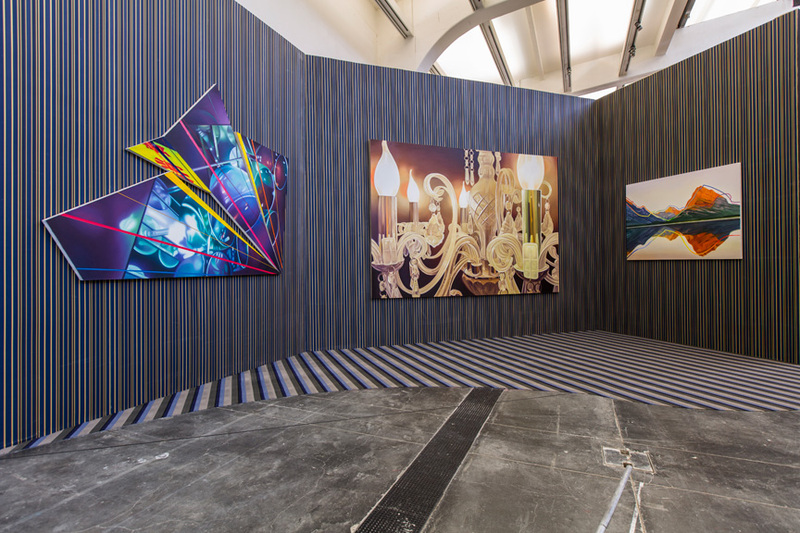 Selected group exhibitions include: Kochi-Muziris Biennale (India, 2012); The 6th Curitiba Biennial (Brazil, 2011); Gwangju Biennale (2010); The 7th Shanghai Biennale (2008); Royal Academy Summer Exhibition (Royal Academy of Arts, London, 2007); “Infinite Painting: Contemporary Painting and Global Realism” (Villa Manin- Centre for Contemporary Art Passariano, Italy, 2006) etc. Red Star Macalline is China’s leading home furnishing and services brand, pioneering new trends in household comfort and consumer taste through imagination and innovation. Since 1986, Red Star Macalline has expanded from one specialty store to a chain with over a hundred shopping centers. Red Star Macalline is at the forefront of the furniture industry: the first to open multiple locations; the first to establish franchise stores; the first to build its own malls; and the largest furniture mall in the world. Today, they have opened over 140 malls in nearly 100 cities across China, including Beijing, Shanghai, Tianjin, Nanjing, Changsha, Chongqing, and Chengdu. Through economies of scale, they are able to provide higher quality products and superior customer service. For the past five years, they have consistently ranked in the top 50 of China’s top 500 private corporations.